Simple and elegant, pasta with pesto and red peppers makes an impressive weeknight meal that is blessedly quick. Or serve it to guests and give yourself time to spare for fun and conversation. The green pesto can be made up to 3 days ahead of time. If you are like me and crave colour during these bleak midwinter months, the spritely red and green colours excel at cheering up the plate. This dish is also extremely versatile. With just pesto and peppers, it can be a filling vegan entree. Add some salmon or chicken to please omnivores. Cheese lovers can add grated Parmesan. Use gluten free pasta if that agrees better with you or your guests. There are so many possibilities here that everyone can be happy. Enjoy the season and bon appetít! Cook pasta according to package directions and drain. Add green pesto and toss to coat noodles. Sprinkle with chopped red pepper. Add cooked poultry or seafood if desired. Serve warm or at room temperature. I like to share recipes and ideas at Simple Supper Tuesday, Allergy Free Wednesdays and more. I love pesto!! And this looks so delicious. Love that it’s versatile and can be made yours depending on guests you are serving!! 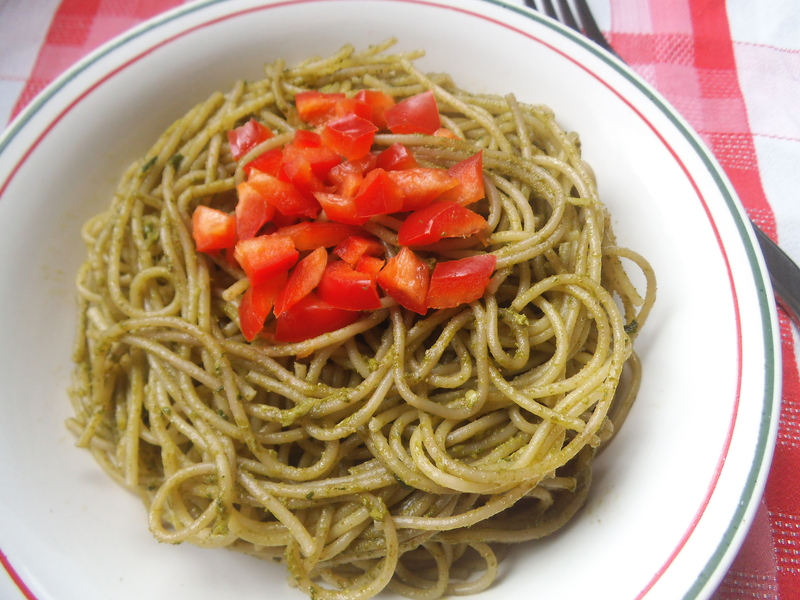 Pesto is a favorite so I’m happy to see this dish with the added red pepper – looks perfect! 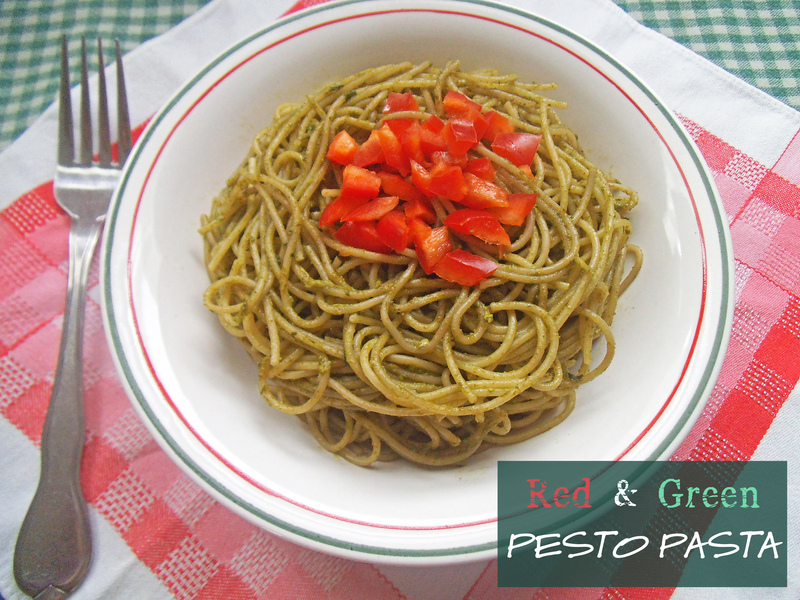 Pesto and red pepper is a great combination. Thanks for sharing at Simple Supper Tuesday.